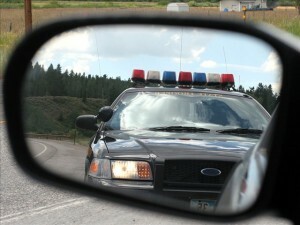 The Kentucky Window Tint Law is also a very good one but is different than ours and neighboring states. It also allows for a medical exemption. This page helps explain it for you. DT Services Window Tinting LLC solidly supports the efforts of Law Enforcement to provide a safe driving experience to the Hoosier public. These devoted individuals are committed to our welfare and the overall public interest. Therefore, we do all we can to keep our clients in compliance with our current state law. Light transmission percentage numbers are how most film is measured when it comes to legalities. In Kentucky, this percentage refers to the percentage of visible light allowed in through the combination of window film and the window. Windshield - Non-reflective film is allowed along the top of the windshield above the manufacturer's AS-1 line. Front Side Windows - Must allow more than 35% of light in. Back Side Windows - Must allow more than 18% of light in. Rear Window - Must allow more than 18% of light in. Colors - No colors of tint are explicitly banned. This represents our current understanding of the current Kentucky Law on window tinting and should not be relied upon solely as an absolute rendering of the law. DT Services Window Tinting LLC is not responsible for inaccuracies found in the above information and is not liable for incorrect understanding of the above information contained on this page. Please consult an attorney if you want the most complete and accurate understanding of the Kentucky Window Tint Law.